35 nations, 40 languages ... which culture? For approximately ten hours a continuous flow of concrete poured from two long pumps—800 cubic metres in all for a corner of the basemat that measures 21 x 26 metres. 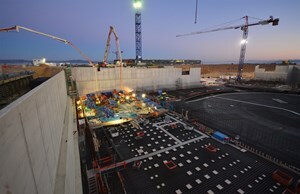 Well before dawn on 11 December 2013, the first cubic metres of concrete were poured for the Tokamak Complex basemat (the "B2 slab"). On an ordinary worksite the operation would have been rather unremarkable. 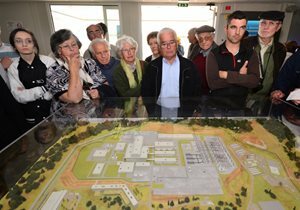 But for ITER, the activity that morning had important symbolic value. What was taking shape in the pre-dawn cold under the bright light of the projectors was the 1.5-metre-thick floor of the Tokamak Complex, a three-building edifice at the heart of the ITER scientific facility that will weigh more than 360,000 tons. "The concrete qualified for the B2 basemat has been the object of particular care," specifies Laurent Patisson, head of the Nuclear Buildings Section at ITER, "having to answer to the rigorous requirements of a nuclear facility in terms of stability, water permeability and gas confinement." Pouring at such early hours, and during the winter months, required special measures to maintain the temperature of the concrete at a minimum level—such as heated water and gravel at the concrete batching plant and tents and hot air blowers at the worksite. Pouring continued on 22 January and 13 February to complete the southern portion of the basemat. 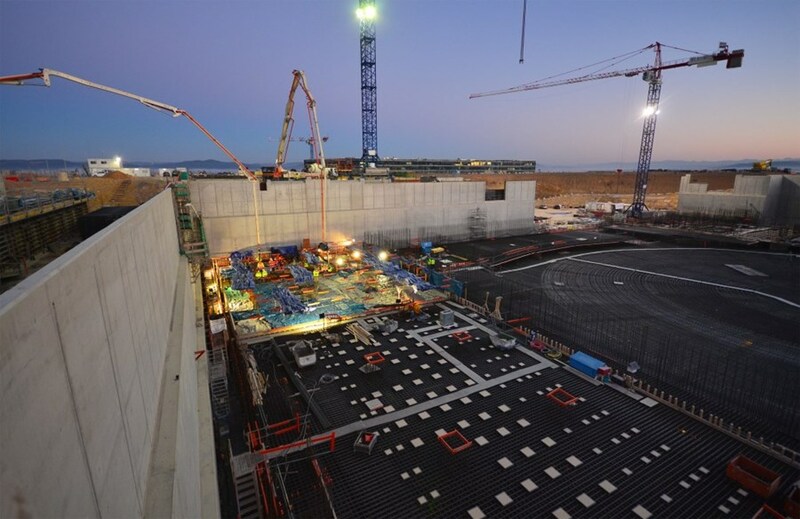 Work will continue throughout the summer to complete the Tokamak Complex slab; in all, 15 individual segments and approximately 15,000 cubic metres of concrete.